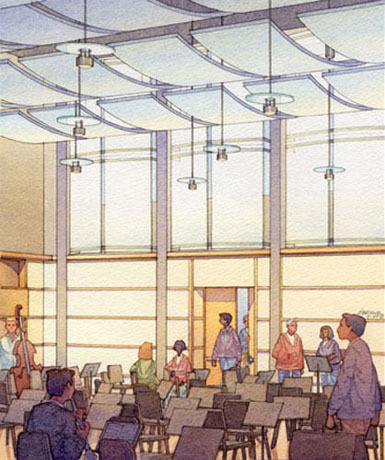 Conceived as a state of the art facility for music education and performance, the renovation to create the new Carter Center for Music Education houses the RI Philharmonic Orchestra and Music School. 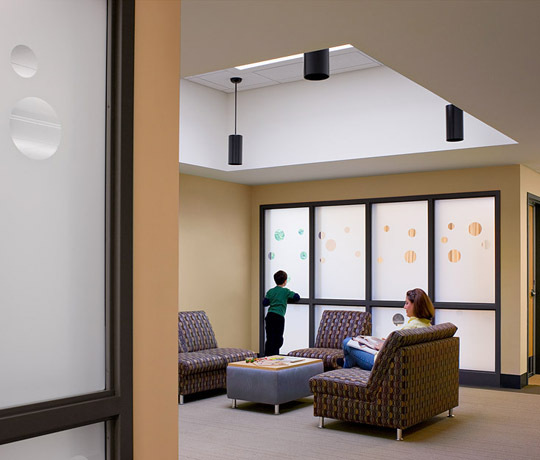 The only facility of its kind within 100 miles, the center is designed to serve 1400 students from their earliest years through adult instruction. 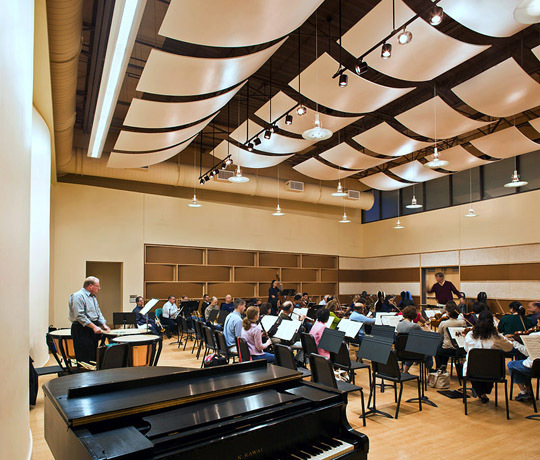 The building also boasts the Sage Performing Arts Hall, which provides two large rehearsal rooms for the RI Philharmonic Orchestra as well as large choral ensembles, and provides dramatic performance venues. 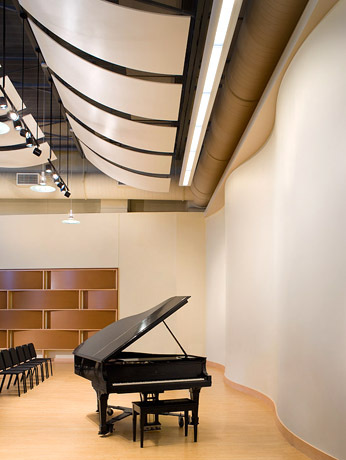 The building houses dozens of studios designed for a wide variety of instruments, including group keyboard instruction, a rock and jazz wing, and dedicated Suzuki instruction rooms. A high-tech recording studio enables performances to be recorded either within the studio or remotely from the large performance spaces. A large central reception area hosts receptions and doubles as a gallery. 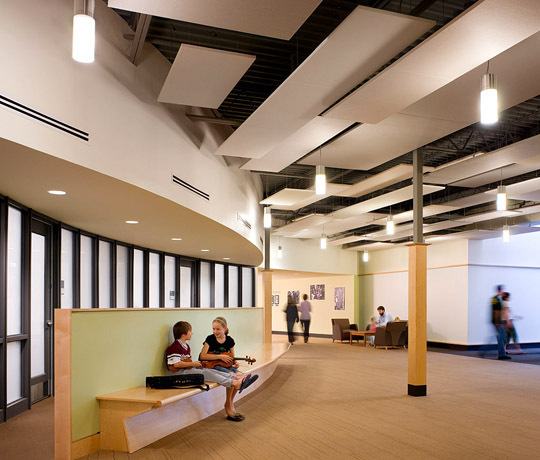 Throughout, skylights and subtle color enhances spaces for parents to relax during lessons. 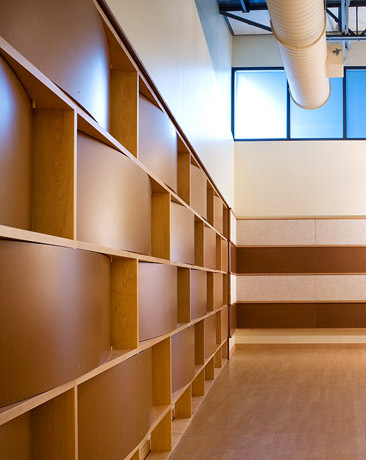 Technically, the Center is designed with utmost care given to acoustic performance. 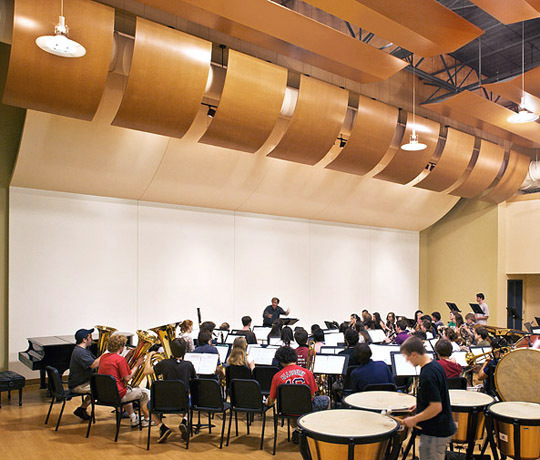 Cavanaugh-Tocci provided KITE with acoustic consulting services to analyze and help develop details ranging from walls, windows, doors and ceilings that reduce the transmission of sound between rehearsal spaces to adjustable baffles that optimize acoustics depending on the location of the performing group. As construction managers, E.W. Burman lead a group of skilled tradespeople to create a high quality finished project with exceptional value.